I am obsessed with this look! I love matching separates, and this top and skirt are adorable. 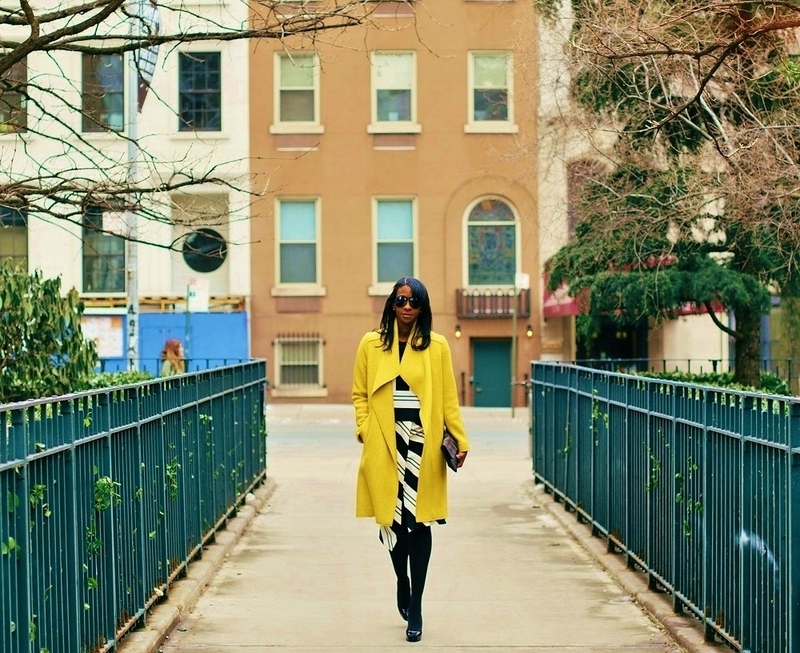 I love how you styled them with the yellow coat! In the past I never wore matching sets but this year, I’m in to it and I’m not sure why. 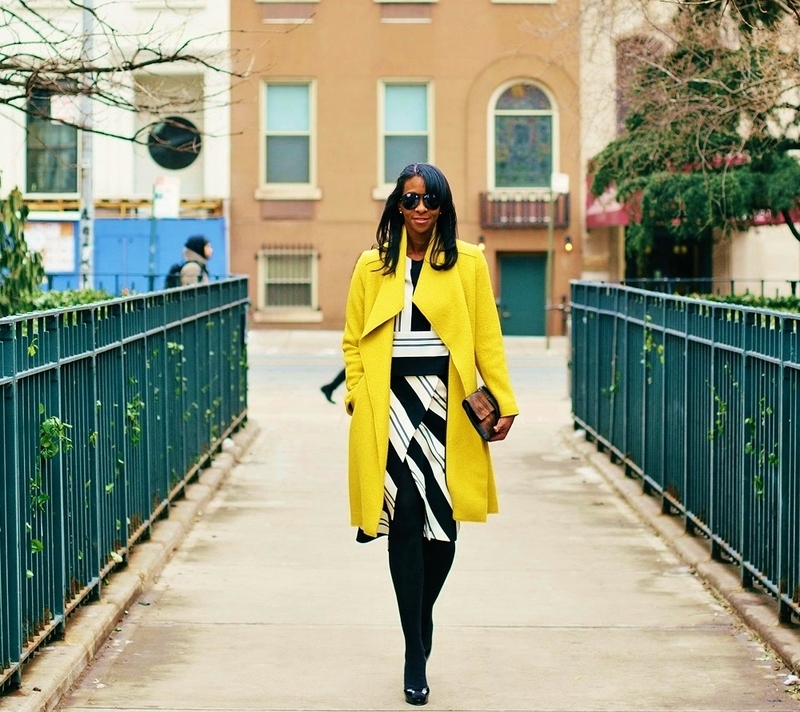 I thought the yellow coat was a fun addition to the ensemble. Thanks for stopping by Jessica. Happy to hear that. Very flattered. Thank you Rachel. It’s like we look at fashion through the same eyes. That’s a nice attitude. A relaxed face and a beautiful posture. It’s enchanting. And inspiring. I here you. I could wear Zara 4 days away. Great outfit! 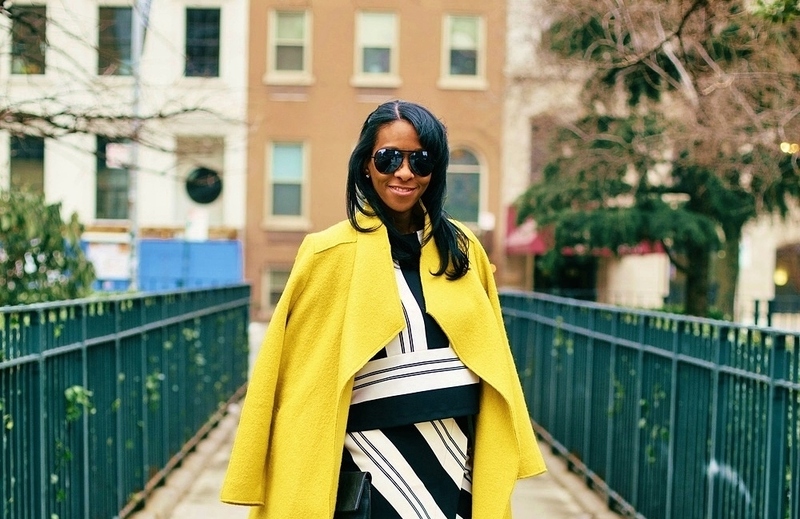 I love the striped top and skirt, and that coat is perfect! Thank you so much. Loving your black & white window pane mod dress. So cute. What a coat, what a color! I’m in love, from the first sight!!! Thank you Victoria. I’m obsessed with the color as well. Thank you so much for that wonderful compliment. Those bold stripes just catch your eye right? This look is a pure perfection, love it so much! Edina, you’re too kind. Thank you so much. Skiing is great but I prefer snowboarding. Both are fun actually. If you ever have the opportunity…… go for it. Thanks for visiting. I love this outfit! 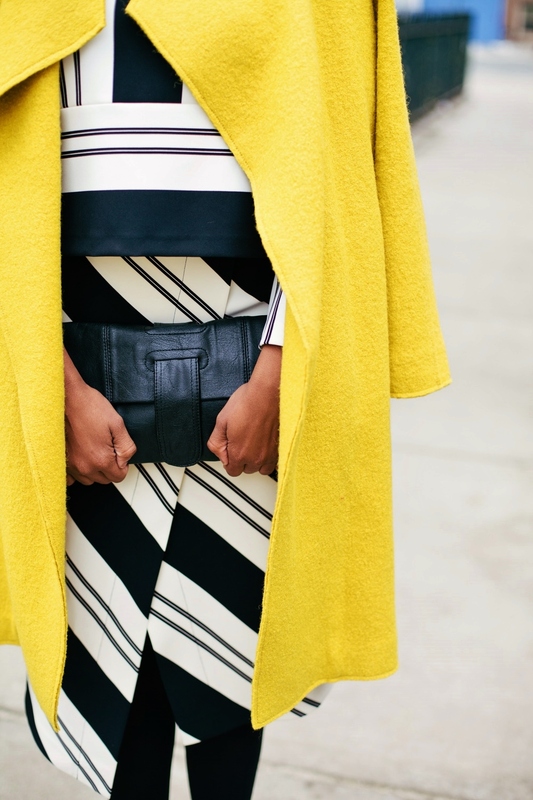 The yellow is so bold and contrasts perfectly with the black and white! !